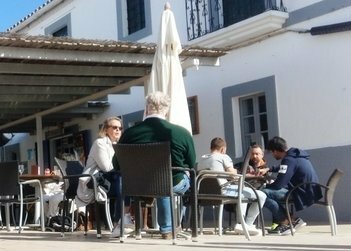 The land office of the Formentera Council wishes again to apologise for a soon-to-be corrected misprint and hereby issues the present statement to inform islanders why the episode will not impact registration of vacation property rentals projected to start this April. The publishing error involved new underpinnings on holiday rentals, initially expected—before the error occurred—to take effect in late summer. Reglament 1/2015, the statute that is presently in effect and which directs the start of the approaching registration process is in force until its replacement takes effect. Three boxes must be ticked before rollout of the registration can take place: changes, including to tourism zoning and a cap on holiday rental permits, bringing the island's “Land Strategy” (Pla Territorial Insular) into compliance with regional tourism legislation; a new regulatory ordinance to set prices on holiday rental permits; and approval of the so-called “quality holiday rentals plan” (pla de qualitat d'estades turístiques). The measures will receive final approval at the one-off plenary assembly scheduled this April, setting the stage for commencement of the registration process before the summer season starts, as previously announced by the Council. 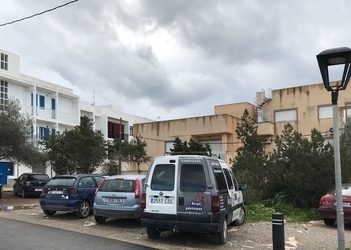 The Formentera Council's department of land reports the administration has awarded Sovalgaray Marítima a permit to run a car park in the space they occupy in a building on the western pavement of la Savina port. It is the Council's hope that the business begins operations in la Savina before this summer. Their opening has already been announced by Sovalgaray Marítima and the Balearic port authority. The land office of the Formentera Council will turn over a plot of land to the region's housing authority to make room for “officially-protected housing” or HPO for the initials in Catalan. The hand-off of the Sant Ferran lot came as the result of a urbanism deal between the Council and the landowner. The 775m2 lot is zoned for 1.2m2 of structure per square metre and 60% occupancy on the ground and basement floors. Council officials say a children's park will be built on an adjacent lot. Recently, the town's only park has been located on school grounds, which replaced a park named for Bob Baldon when last year 14 units of low-cost housing were erected nearby. 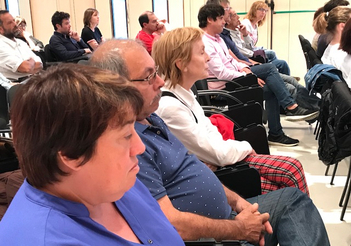 On Wednesday the Formentera Council convened the economy, neighbourhood, tourism and environment sections of the island's coalition of community leaders, the Consell d'Entitats, to continue discussion of a zoning proposal that involves limits on tourism. Approximately thirty representatives of the local community and civil society turned up at the gathering. Land councillor Alejandra Ferrer spoke about the eight proposals which had been put forth and parsed the pros and cons. Of the eight, three will ultimately be added to the initial while the remaining five were disqualified for a variety of reasons. Ferrer outlined the conclusions of the proposal. The ordinance would ban commercial activity like vacation rentals at homes constructed after the adoption in 2010 of a municipal standards code (known as “Subsidiary Guidelines”, or Normes Subsidiàries) and a strategy to regulate land-use (the Pla Territorial). The proposed changes would mean creation of a legal status for up to 50% more dwellings than those currently allowed by law, limits on the number of beds at hotels to ensure economic diversification, and targetted expansion of vacation rental permits for single-family homes to guarantee protections for Formentera's rural landscape and, at the same time, high quality, diverse rental properties for visiting tourists. The plan would throw up roadblocks for islanders seeking to rent properties in traditionally residential areas like Sant Francesc, Sant Ferran and el Pilar de la Mola to protect the local character of such areas and the rights of locals. Likewise, to ensure fair competition, quality-control plans would be introduced for those single-family homes that are licensed for rental. Some of the measures being considered are aimed at fomenting neighbourliness between locals and tourists living in the same buildings, while other environmental measures are intended to offset the negative impact of rezoning homes as rental properties. Other measures are envisioned as well, from creating quality standards in tourism to ensuring homeowners are held to account with respect to the objectives, like with checks every five years. A Q&A session followed during which the ins and outs of the proposed measures were clarified. The proposed rules change will now be reviewed and voted in plenary, with an ensuing period to make comments, before the proposals are once again weighed by the Consell d'Entitats. 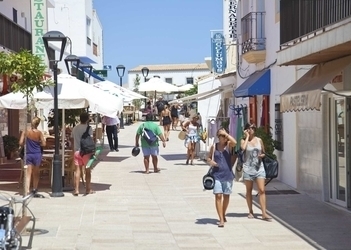 The Formentera Council's land and tourism offices report that today, Tuesday, January 30, marks the start of a new ordinance, adopted by Formentera's plenary assembly December 22 of last year, to regulate terraces and other installations that occupy the public right of way. With definitive approval for the change already secured, occupancy permits issued under the previous ordinance will no longer be valid. Hence, interested businesses must once again request authorisation by providing the supporting documentation persuant to article 10. Permits should be requested at least one month before the plans to occupy public land and start business activity. More information is available on the Council's website (https://goo.gl/A4yjyt). To ensure quality service and create incentives for businesses which open more than six months a year, permits will not be granted to establishments that fail to guarantee business activity between May 15 and October 15.